We specialize in liquid nitrogen ice cream and pastries! 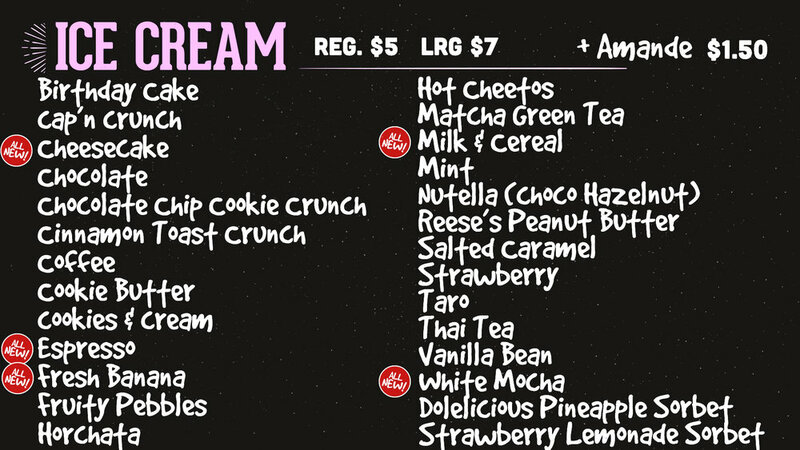 You can choose to enjoy any one of our ice cream flavors a la carte or with a choice of toppings or pastry! Since our ice cream is made-to-order, you get a rich creamy consistency of ice cream.